About 6 years ago I started dreaming about wanting to move my studio. I started looking for space and not finding anything quit right. So I picked the place I wish could be my studio and dreamt a little more. And then about two years ago that place went up for sale! It was for sale by owner, with a sign on the door that had no other information but a PO Box, so I wrote him a letter. He called me and my friend and I did a walk through. At the end of the tour he finally was willing to disclose the price…and the dream bubble burst. It was just much higher than the building should have been. It was a building that was a lumber mill at one point. It must have shut down in the 80’s and stayed shut down. But it was so cool. In the 1890s the front part was a hotel. It had a show room, and in the back was the mill. It would be such a unique space for a studio. With a desolate industrial feel. I love that stuff. But it was too big anyway and had no heat or electricity. But me being the creative type decided what I would do with all that space. My dream got bigger. It would be a perfect venue. With my studio on the second floor and room for a bridal sweet. But it was too expensive anyway. Then last Spring my friend who is a realtor called and said her company was going to list it, my hope was that a realtor would help them see the price was too high. So I scheduled a showing. In order to walk through I had to get pre-approved for a loan. So I shared the dream with others, I found a support team and combined efforts to get pre-approved. It opened a door. It made me aware my idea wasn’t crazy and could be done. And I wasn’t alone. So I asked a local contractor, to walk through with me. And after the walk through he officially burst my bubble. To do all I was dreaming about would end up costing me close to a million dollars. But at the end he said something that I wasn’t expecting…he suggested I look at other buildings or build my own. There had been a few others I was curious about. So I looked. And I prayed. And I waited. Looked again. Wrestled with the idea. Made an offer. Made a second offer. Walked away. Looked at something else. Made an offer on on that. Counter offered. Counter offered again. Offered asking price. And had someone else buy it from under me. Went back to the other place I walked away from and had the offer they had originally not wanted to accept, accepted. Prayed more. And finally went forward trusting God would close the door if it needed to close. And it didn’t. And it still hasn’t. 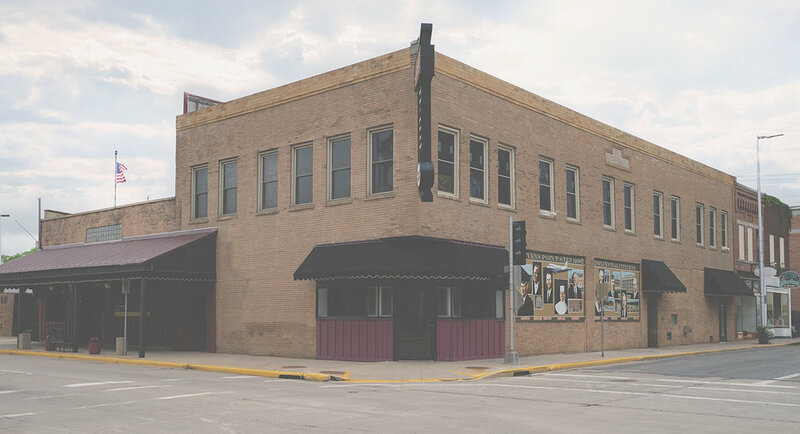 And now, the venue and the studio will all be coming to downtown Stevens Point. The building also used to be a hotel and has been left desolate on the second floor. That is where it would be most fun to explore, but is on the back burner. The main floor where we will have the venue has been a bar restaurant for several years. It was most recently “Kristin’s Riverwalk” before that it was “The Hot Fish Shop” and has a very nautical theme to it still today. Each step we take is one carefully placed in front of the other as we go. Overwhelmed because the top of the stairway seems really far away, but excited because each step is one step closer! I know it’s the right place to be, it’s a different feeling than I thought it would be. But it’s going to be good. Dekaios Designs is still my passion, and it is moving to have the space it so needs. This will take a little time, and there will be great lessons on the way. I can’t wait to share with you. I hope to take many photos there. To celebrate with many. This all happened last Thursday. Here are some photos of how it looked upon closing. I look forward to sharing more. I have started a website for the place. It’s Called The Rose House LLC. www.rosehousevenue.com Check it out!